Recently unsealed court documents are shedding new light on the murder of a Maine sheriff's deputy. John Williams, of Madison, was charged in the April 25 death of Deputy Cpl. Eugene Cole. He's pleaded not guilty to murder. A search warrant states Williams admitted to shooting and killing Cole in Norridgewock late April. According to the documents, Cole told investigators he was "mad at Cpl. Cole for arresting his girlfriend, but pointed out that he didn’t have a 'vendetta" against him." Williams allegedly told investigators he "just wasn’t ready to go to jail." The search warrant states Cole approached Williams around 1 a.m. April 25, while Williams was trying to get into a friend’s home in Norridgewock. Documents state Cole asked Williams who he was, and when Williams said his name, Cole replied "I thought so," and told him he was under arrest. 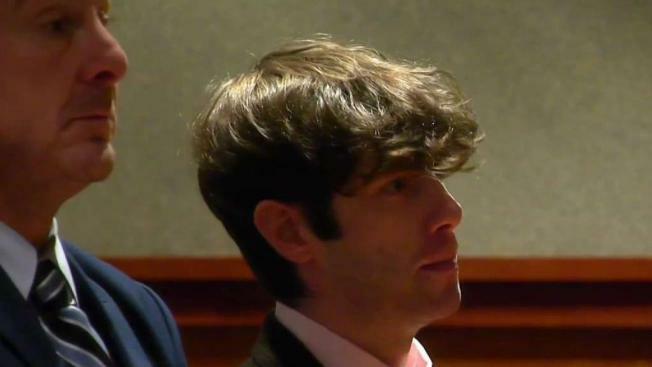 Williams was due in court April 25 in Massachusetts on gun charges. It is not clear why Cole may have told Williams he was under arrest. The search warrant states Williams pulled a 9mm pistol out of his waistband and pointed it at Cole’s direction. Cole retreated, tripped, and fell to the ground. Williams allegedly told police he continued to advance on Cole, and "eliminated" him by shooting him in the head. Police say Williams then loaded items into Cole’s cruiser, drove to a nearby gas station, stole cigarettes and water, and made several phone calls as he drove to Martin Stream Road and ditched the cruiser. According to one friend quoted in the search warrant, Williams was "very apologetic" in a phone call stating, "I screwed up big time." Williams was located in a cabin in the Norridgewock woods on April 28, after a four-day long manhunt. Williams has been charged with murder. He has entered a not guilty plea.